SS have to read and label all the pictures. 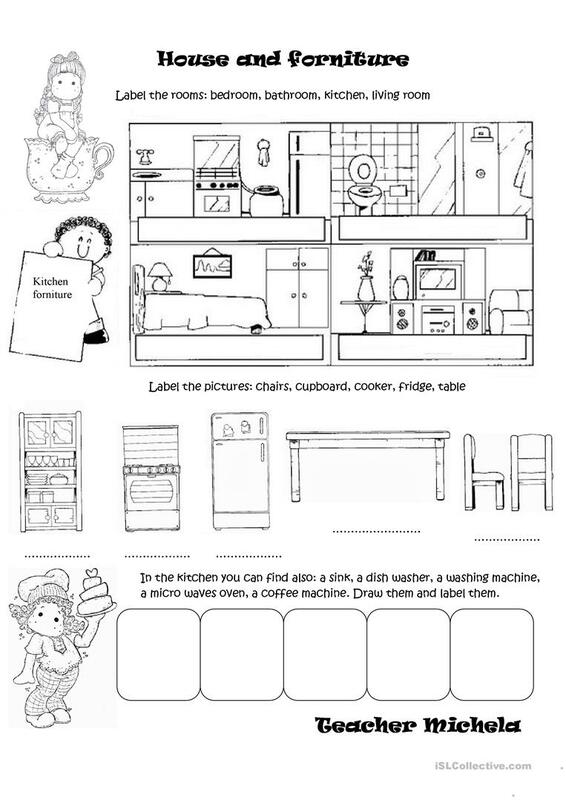 You can also add listening activity to colour and writing activity to describe each room,( for ex: in the bathroom there is a shower, a towel, a bath....). I hope you like it! This downloadable handout is a great resource for high school students, elementary school students and students with special educational needs, learning difficulties, e.g. dyslexia at Elementary (A1) and Pre-intermediate (A2) level. It can be used for developing your learners' Listening, Spelling, Speaking, Reading and Writing skills. It features the theme of Home.